When Chinese Communist Party Officials or Chinese Government Officials visit Tibet then there is no protest made by India, even when every Indian is aware that Tibet has been forcefully occupied by China. So Indians are truly bewildered with the fact that whenever the Indian President or the Prime Minister makes a visit to the Indian State of Arunachal Pradesh then Chinese Government due to sheer habit starts making lots of undecipherable cacophonic noises. The Chinese foreign ministry expressed strong opposition to PM Modi’s recent visit – the third visit to Arunachal. Indian Prime Minister Narendra Modi has just paid a visit to Arunachal Pradesh to lay the foundation stone for a strategic tunnel through Se LA for strengthening our military infrastructure in this region of Indo Tibet border. This is the same area through which the Chinese troops had managed to enter our country and reached right up to Bhalukpong on the Arunachal – Assam border. That fiasco of 1962 was due to sheer stupidity of our foreign policy of that time. The mistake of having so much blind faith in PANCHSHEEL policy that PM Nehru neglected all infrastructure development and military deployment against an expansionist neighbour which had already devoured a friendly buffer State …Tibet. The Indian PM visits any part of the Country as per scheduled Programmes drawn well in advance based on requirements of various Central and State Govt Departments, Social Institutions or Political meetings. Accordingly PM Modi had earlier visited Arunachal in 2015 and 2018. Now the Chinese propaganda being made by their Foreign Ministry chap Hua Chunying has come out with a near joke saying that “ Indian PM has been making all the trips to Arunachal during China’s Spring Festival holiday. Such attitude of China really bewilders the Indians. India is now very clear in its foreign policy. We are a peace loving nation but we are ready to give a befitting reply to any Country which covets our territory or means harm to us. Also what we do within our own country is no ones business. In fact 99% percent Indians are clueless about something called Spring Festival Holidays in China. Such Chinese news or facts are of no interest to the Indians. The April 2018 summit between PM Modi and Chinese President Xi Jinping had helped to ease tensions between the two countries after the Doklam standoff. The relationship between the two countries had begun to stabilize. However such outlandish outbursts from Beijing may not only harm the bilateral relationship but may also force India to take actions to defend its core interests. 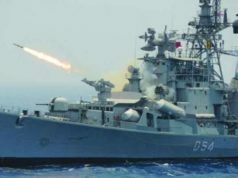 USA, Japan and Australia are all trying to court India to form a Quad to check Chinese expansion in the Indo Pacific region. As India Tibet border talks are still ongoing between India and China, China should desist from such irresponsible statements and help resolve border disputes. 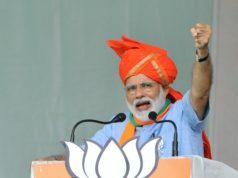 Both economically and militarily India is a rising power in the world and the country conditions are totally favorable for Modi’s re-election in spite of some narrow reverses in some of the state level elections. India is now a confident Nation and will certainly not tolerate any unilateral actions of others trying to harm India’s interest. So if China ignored India’s Sovereignty by initiating agreement with Pakistan for CPEC through Pakistan Occupied Kashmir, then India rightly rejected the Belt and Road Initiative of China. Also in case China keeps propping up Pakistan, India too retains the freedom of improving ties with Taiwan. If Xi Jinping does not want to harm India China relationship then he must firmly control his party men and his Govt and stop them from issuing statements pertaining to internal affairs of India. If China wants to become a responsible and respected World Power like India, then its priority should be to improve its relationship with all its neighbours and vacate occupied Countries like Tibet. The two Asian giants must resolve their disputes and this depends more on China and we hope that the Xi administration will cease such irresponsible statements in future. Previous articleTry PUMA New self-lacing shoes for free…Free..Free.